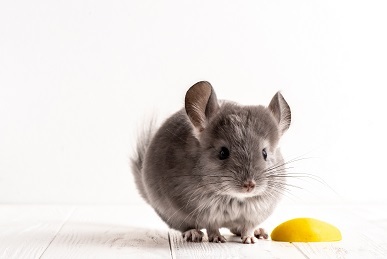 Let’s answer this question in two parts: First, let’s take a look at why we consider mice pests and second, what actually makes them super? OK, everybody knows why mankind calls mice ‘pests’ as they are destructive to property, agriculture, and they can host parasites, carry bacteria, and have a long history of spreading a cast amount of diseases. A very interesting fact is that the very origin of the word ‘pest’ is directly tied to mice. If you grab the Webster Dictionary or simply google the meaning of the word ‘pest,’ you will find a definition that goes something like, “a troublesome nuisance.” That’s the common meaning of the word—but here’s the kicker, while you’re looking at that definition, you’ll also find the words earliest usage, “the pest,” meant bubonic plague. And as you might have learned back in high school history class, mice helped spread the bubonic plague. The worst part is that to this day, the Center for Disease Control and Prevention, CDC still needs to remind us that mice can lead to the transmission of the plague as well as diseases like pulmonary syndrome and leprosy. They can improvise on the drop of a dime. These rodents have the incredible ability to adapt to changing surroundings and environments. From the cargo holds of merchant ships to surviving in deep forests, or finding refuge in houses and barns. they act fearless in new surroundings or in the presence of new objects, unlike many other animals. That makes them daredevils. Their courage for exploration is only heightened by their agility and flexibility. Mice can also use their urine as a way of leaving breadcrumbs to mark where they have previously explored. In short, mice are exploratory by nature and can find their way in and around a home easily. We’ve covered a lot of ground sharing facts about how mice possess creepy abilities making them a super nuisance, but they’re not all bad. With these extraordinary talents, it’s no surprise that they are used by behavioral scientists and researchers as the subject of countless studies. Also, certain species of mice can even make great house pets… until they escape their cages. If you have any questions about a possible rodent infestation or would like help with preventative care, we’d love to hear from you. Call 703-520-5868 now to schedule a free inspection.